Takeaway: It was a major dilemma for an oil recycling company when a storage tank began to leak in several places. A new surface-tolerant technology was specified to repair the holed tank, providing long-term corrosion resistance even when applied to oil-contaminated surfaces where grit blasting is not possible. A UK-based recycled oil supplier had a serious maintenance problem. Because the leaking tank was located in a confined space, it would be highly dangerous to repair the damage in situ using hot work. And if the tank was removed and repaired off-site, not only would this incur large amounts of downtime, but the cost of welding alone would be excessive. The company recycles millions of liters of transformer oil every year. Their process works by extracting moisture from recycled oil by shutting the tanks off from the atmosphere. The tanks are then connected to silica gel tanks to remove the moisture. 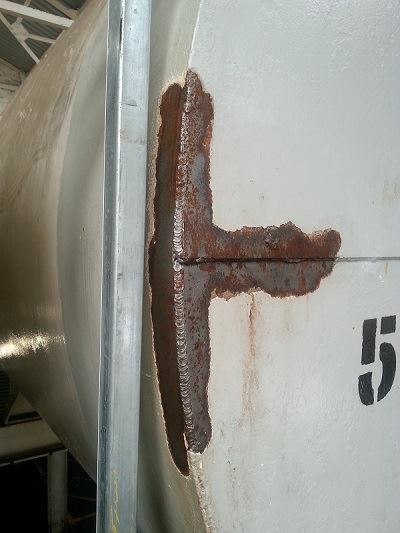 As a result of this repeated process, several areas located at the seams of the steel tanks were beginning to corrode. It would be hazardous to repair tank leaks in situ using conventional hot work. 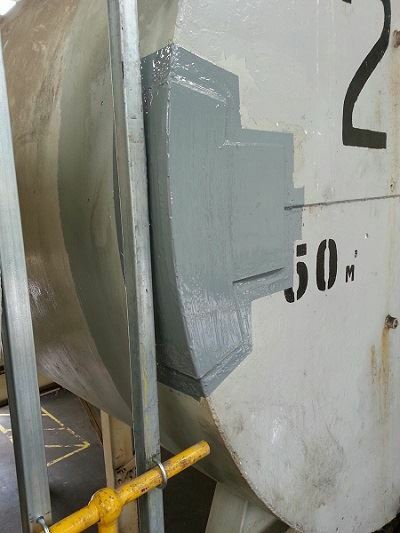 The supplier required a bespoke in-situ maintenance solution that would safely repair and protect the steel tanks against corrosive attack for the long term, while incurring minimum downtime. In addition, the application area was highly contaminated with oil, so the repair method needed to be compatible with the environment and provide a robust solution despite surface contamination. A two-part surface-tolerant epoxy composite was chosen to bond steel plates to the damaged areas, followed by a protective epoxy coating. The epoxy composite represents a milestone for epoxy technology. Not only does this material provide excellent, long-term corrosion resistance, but it achieves this even when applied to oil-contaminated surfaces where grit blasting is not possible. Coupled with the rapid cure feature ensuring minimal downtime, the composite was the ideal solution for repairing the leaking tank. The moisture-tolerant epoxy coating was chosen to coat the repaired area because this coating is specially designed to protect oil-contaminated surfaces. The application was carried out by an application services division. Once the leaks were stemmed, the area was then cleaned and roughened to prepare the surface for steel patching and coating. Steel plates were bonded onto damaged areas. 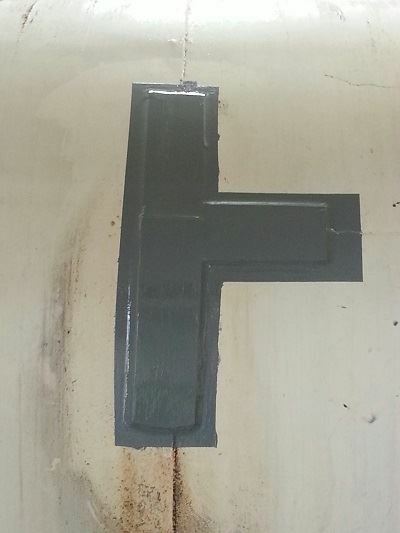 The same composite was used to bond pre-manufactured steel plates onto the damaged areas. This was done by firstly applying a thin film of the epoxy system onto the prepared substrate, pushing the material well into the profile. Further material was then applied to the steel patch forming a peak of material at the center. A top coat was applied for long-term corrosion protection. The patch was then pushed into place, allowing the excess material to exude from beneath, ensuring minimal air entrapment. The excess material was then removed and the system was allowed to cure before applying the aforementioned epoxy coating to the area, providing long-term corrosion protection. "If the oil supplier had chosen to use welding as the repair method, this could have taken weeks to complete, leading to big problems in terms of trying to stop moisture entering the tanks," said the field sales engineer. "The application was completed in just over two days without the tanks being taken offline. This ensured moisture ingress would not occur and allowed the plant to continue as normal with minimal disruption. Furthermore, the supplier was able to avoid a significant amount of capital expenditure, as the repair method could be carried out at a fraction of the cost of welding."